If you've already verified these paremeters, I would recommend trying a different flash drive than what you're currently using, and if possible anything off of the "Supported USB Devices" TB that Steffen recommended. 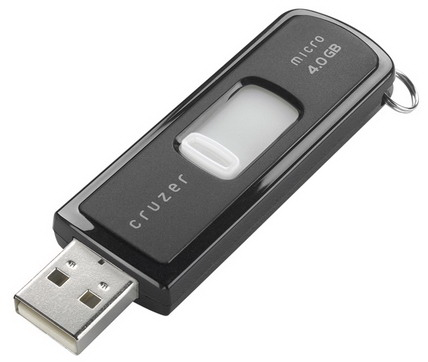 I personally have had good luck with the previous generation SanDisk Cruzer flash drives (just my own personal experience). as James highlighted below the Feature is not automatically active and depends on the Administrator/or yourself of your SIP Platform to enable this functionality. The Polycom® SoundPoint IP 650 and 670 and the Polycom® VVX 1500 phones can be configured to allow recording of audio calls on a supported USB device. This feature requires a license key for activation except for the Polycom® VVX 1500.Using this feature may require purchase of a license key or activation by Polycom® channels . For more information, contact your Certified Polycom® Reseller. Below Instructions are based on UCS 3.3.0 Configuration and may vary if an older SIP Software Revision is being used. In order for the Phone to load the configuration changes and or license file a Provisioning Server is needed. The CONFIG_FILE="" Section specifies what additional configuration files are loaded whilst starting the Unit and change this to CONFIG_FILE="recording.cfg" and store this file with a file name of the MAC Address of your Polycom® SoundPoint IP 650, 670 and Polycom® VVX 1500 that can be found at the Bottom of the actual unit. Once you reboot the Polycom® SoundPoint IP 650, 670 and VVX® 1500 the Phone will automatically load the <mac>.cfg and a valid license from the provisioning server. The supported USB Device list Was last Updated: August 2008 Really? In the early days of USB sticks we needed to test these. These days purchasing a a quality brand should be fine. I tried provisioning the License. 0510123029|cfg |*|03|Prov|Setting device parameters from configuration files. Please utilize the FAQ for any further questions. Have you created a backup and checked the feature is loaded ? The next step would be to open a support ticket.